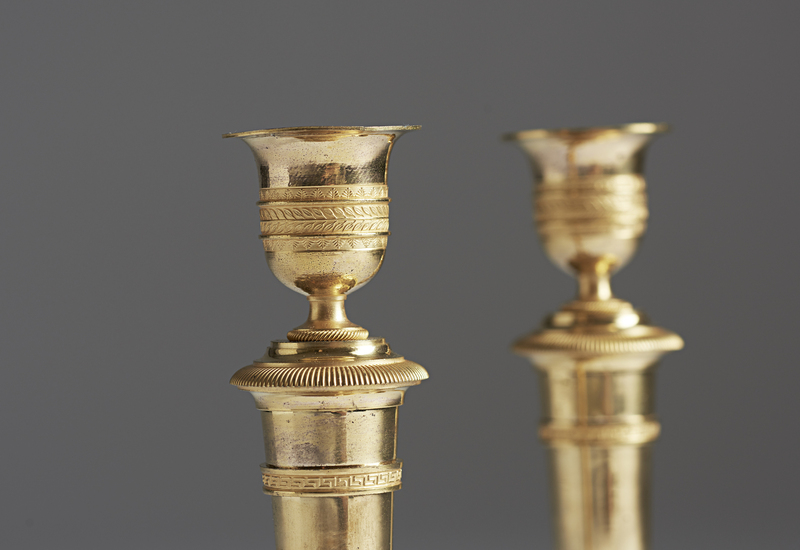 Pair of ormolu candlesticks by Thomire Duterme et comp, circa 1810. 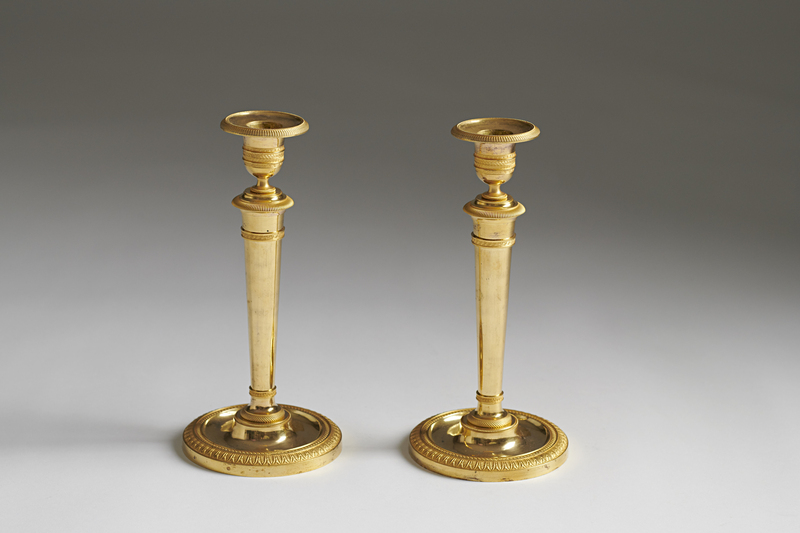 Pierre-Philippe Thomire was trained as a sculptor but decided to join his father in the more lucrative business as a bronze caster. 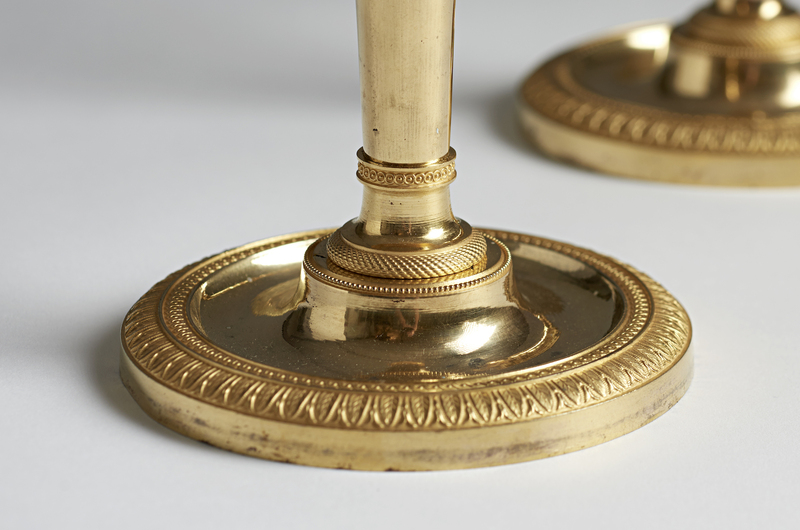 He also trained in the workshop of the famous Pierre Gouthiére before setting up his own workshop in 1775. Pierre Philppe Thomire became one of the most important bronze casters in the late18th century. He worked for the Sévres poreclain Manufactory suppling them with werious mounts for there different piaces. Thomire was made ”ciseleur de lémperuer” ( Engraver to the Emperor) by Emperor Napolen in 1809 because of the large number of items he supplied for the palaces. Later his firm became ”fournisseur de leurs majestés” (Furniture supplier to the Emperor).